How are your relationships? Are the patterned after the Bible or society? Do you understand the degree of depth that you operate in your present relationships? What degrees of operational unity are you comfortable with? In the 21st century it is absolutely necessary that we return to biblical models of relationships if we are to disciple and be discipled in His Church. There have been two major enemies of the followers of Christ in this generation. First there is the shallowness of relationships in the present digital age in which we live. I know, I live in this world where geographical lines have been erased and friendships have become nothing more than a knowing someone’s digital address. For the most part, you can’t count on them if you ever have a real need. There just online friends. They are people who fly around in your cyberspace world. If they come near and poke you can always say you didn’t get the message. Second, and probably the worst hindrance to serious relationships in the Christian community has been the scourge of controlling and abusive church leaders in the last 10 years. Some of these leaders have operated by ignorance and others in their hunger for power and position. These leaders have like “wolves in the hen house” decimated God’s flock for their own gain. They are always bragging about their successes but they fail to mention the trail of bodies they have left in their wake. Meanwhile those Christians who have been able to leave their influence are now living their life wounded, hurt and avoiding anything more than a surface connection to the Body of Christ. What is the true follower of Christ to do? Should we stick our head in the sand and just see for our own care? Should we settle for the current definition of “member” which is no more than being a part of a Country Club? Or should we pursue God’s design, push through the pain of relationships to be an example and to leave a pattern for the coming generations? Like the early Spanish discoverers of America we have burned our ships. We must push on and for us there can be no retreat. 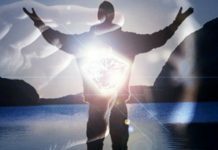 Before moving on I want to call attention to an awesome article on relationship by George Dunn titled “The Psycho-Babble of Christians in Relationship.” It would be great to read this short article first as the foundational basis of this discussion. We need to understand that all Christians are blood brothers based on the shed blood of our Lord and Savior Jesus Christ. We do not have a choice as to whether or not we are to “relate” because we are commanded to love the brethren. This is the work of the Holy Spirit within that is why we can know someone for just days or be apart for years and when we come together it is as if we have never been apart. Since the apostle Paul wrote must of the New Testament under the guidance of the Holy Spirit we will look at some of his relationships (6 degrees of operational unity) to establish some biblical patterns we can use. They are not in progressive order but more or less as the Lord gave them to me. 1. Untested Peer & Fellow Worker– Barnabas & Paul– they operated great together and even experienced some level of depth and commitment. The problem came when a wall of disagreement separated the union. John Mark was a relative of Barnabas and it created an emotional attachment that coupled with Peter’s mercy gift hindered their forward progress together. So sharp was their disagreement that they walked away from what they had together forever. We never hear from Barnabas again but later we read that John Mark was reconciled to Paul. All relationships are untested to some degree and only time and life together can reveal their true strength and endurance. Peter and Paul were apostles and peers in the Kingdom of God. The bible clearly details the different functions and scope of their ministries. When they worked together in Antioch their relationship was tested. Paul rebukes Peter publicly because as a leader he was setting a bad example. It was not positional authority that made Paul speak up but the love for the work of the Lord Jesus Christ. Today many just stay quiet when they should speak up using a thousand excuses but a true apostle will always speak up when there are disciples in danger of been swept away in error. Peter survives this public scolding and continues in relationship with Paul till the very end. In a couple of places in the New Testament the word declares that Demas was a fellow worker with Paul. I believe he was a spiritual son in training because of the words that Paul uses to declare that Demas has now left his side and chosen for the world. I can both hear and feel the heart a broken father for his spiritual son who has been lured away by the things this world offers. In this lawless generation people abhor the thought of someone on earth being a spiritual father. I am definitely not talking about the current concept of positional priests. I am talking about biblical relationships where that Father above places spiritual orphans in families. The test came and Demas failed it. I have always loved the story of Timothy. He is what I call as “trans-lateral” son to Paul. 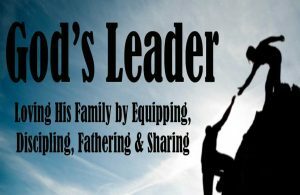 Paul does not lead him to Christ but when it comes time to take him to the next level in his ministry Father joins him to Paul by the Holy Spirit. Timothy becomes so dear to Paul that Paul uses the Greek verse that means he literally birthed him. When it comes time to release Timothy Paul writes a one sentence resume for him. By the way, all true spiritual fathers train a son in view of releasing them someday. Only the controlling leaders keep the talents of others in their stable for their personal gain and profit not allowing them to do what God has called them to do. 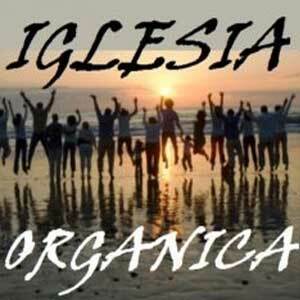 Phil 2:20 For I have no one like-minded, who will sincerely care for your state. 21 For all seek their own, not the things which are of Christ Jesus. I have always believed that real agape love does not begin until that person you love cannot return it. Real love is sacrificial. Real love is a choice and has nothing to do with feeling. Real relationships are based on that kind of love. To pass the test you must love the unlovely not just those that kiss up to you. Because Father loves Philemon, He would orchestrate life to test him. As it turns out one of his slaves steals from him and runs away only to land in jail with Paul. Paul leads Onesimus to Christ and then sends him back to Philemon. Listen to these beautiful words spoken in the language of true biblical relationships. Philem 8 Therefore, though I might be very bold in Christ to command you what is fitting, 9 yet for love’s sake I rather appeal to you — being such a one as Paul, the aged, and now also a prisoner of Jesus Christ — 10 I appeal to you for my son Onesimus, whom I have begotten while in my chains, 11 who once was unprofitable to you, but now is profitable to you and to me. Philem 18 But if he has wronged you or owes anything, put that on my account. I would love to unpack all this language but safe to say Paul remembered all his deposits in the life of Philemon. Paul was so sure of the amount in their relationship account that he knew it could withstand a withdrawal on behalf of another. Not by just any other person but someone who previously had hurt Philemon. We know Philemon passed the test. He received Onesimus as a changed man and in his heart moved him from slave to brother in the Lord by the blood of Jesus. 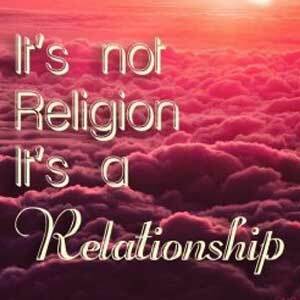 One of the realities of the Christian faith is that we are always to still love those whom we know don’t operate in biblical relationships. John was an elder and had heard of a brother who was operating in a controlling spirit. He calls the name and points out the spirit of division that is operating in Diotrephes. 3 John 9 I wrote to the church, but Diotrephes, who loves to have the preeminence among them, does not receive us. 10 Therefore, if I come, I will call to mind his deeds which he does, prating against us with malicious words. And not content with that, he himself does not receive the brethren, and forbids those who wish to, putting them out of the church. I know this is not popular today but love rebukes and corrects. If your brother will not hear you can always continue to pray that Father will open his heart. Certainly it is impossible to build Father’s Kingdom with a brother who refuses to repent. In conclusion, I am sure there are other types of relationships that could be outlined in the New Testament but at the foundation of them all would be LOVE. 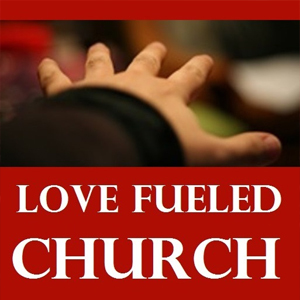 Real discipleship is absent for the most part in modern church life but the root of the problem is lack of love. The commitment level of the average church “member’ is at an all-time low they tell me. The problem is lack of love! Most people prefer to separate from a brother than deal with the issues. The reason is clear it is lack of love. 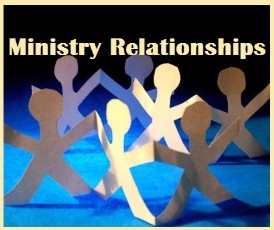 May you break from the sub-par standards of modern ministry relationships! 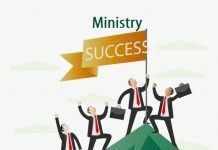 Does Five Fold Ministry Exist Today?